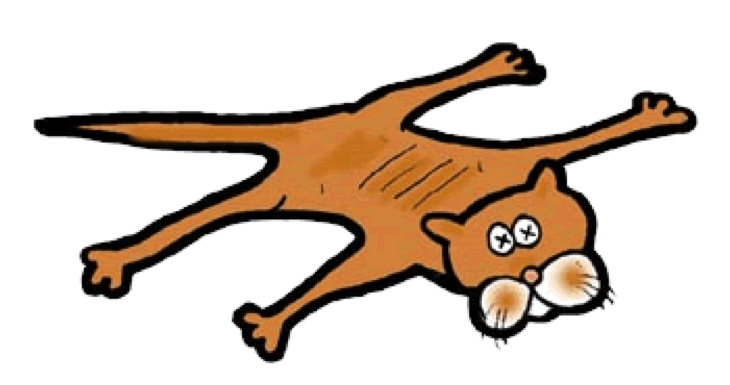 “Consigned inventory”: a salesperson’s competitive advantage, or an operation manager’s nightmare (“dead cat”)? Have you ever consigned inventory to a customer location, only to regret it later because of the drain on resources and the inevitable “shrinkage” in your inventory? Follow these guidelines to negotiate a hassle-free, manageable consigned inventory program. Figure 1 illustrates how a consigned inventory program reshuffles the steps of a traditional sale between your company (“seller”) and your customer (“buyer”). Seller owns inventory sitting at buyer’s location, until it is consumed by buyer. If consumption is measured by buyer, then buyer submits a consumption report to seller periodically, which triggers an invoice from seller and payment from buyer. If consumption is measured by seller, then seller submits a consumption report periodically, which triggers a purchase order from buyer, an invoice from seller and payment from buyer. Replenishment is managed by seller, via a process separate from the consumption/payment cycle, such as via a location-to-location transfer, delivery and re-stock, etc. At the beginning of the consignment program, seller may be required to purchase inventory currently owned by buyer. Figure 2 compares the benefits that your customer enjoys when you consign your inventory to his location, versus the benefits that your company gets. No, Figure 2 is not incomplete. It is just that we cannot think of any benefits of a consigned inventory program for the seller, other than, by agreeing to a consigned inventory program, the seller won the buyer’s business. Before committing to a consigned inventory program, be aware of these potential costs and risks. More Inventory: Assuming that the items that are included in the consigned inventory program are items sold to other customers, then you will have to increase the quantity of these items that you own. This is mostly due to the reduction in efficiency by having to split the inventory into two piles, with one pile not being available to your other customers. Instant Surplus Inventory: If one of the terms of the consigned inventory program is that you must purchase customer-owned inventory as part of the program set-up, you may be buying inventory that the customer will never buy back. Your customer’s inventory management mistakes may become your at-risk asset. More Work: The intent of a consigned inventory program, in the words of the customer, is, “Supplier, I want YOU to own and manage my inventory. I will pay you after I consume it. Make sure I never run out.” This implies that the burden of monitoring and replenishing stock levels and capturing consumption becomes your company’s burden. Who at your company will take on this additional work? Your highly compensated field sales person? Really???? Inventory “Shrinkage”: In a classic consigned inventory program, the buyer (your customer) may insist on tracking consumption. The risk in this method is that his people may consume an item, but not record the event. The result is a discrepancy between a calculated inventory count and the physical inventory count. In this situation, you have two choices: either call your customer a liar, or write off the inventory discrepancy as “shrinkage”. Choose wisely. “Reverse” Consumption: It is inevitable that your customer’s personnel will take an item from the consigned inventory, “borrow” it, and then return it. The condition of this returned item is likely to be out of the package, dirty, dented, etc. Who owns this item now? The customer thinks you do. Now You are a Bank: By owning the inventory at the customer’s site and collecting money long after the item has been consumed, you are essentially giving your customer an interest-free loan. Sure, interest rates are low now. That may not be the case in a few years. Clearly defined program scope: Agree on a list of items to be included in the program with a unit sales price and maximum consigned quantity for each item. Agree on stock level review schedule and replenishment trigger. Path for changes: Have documented processes to add to or remove items from the program and to change consigned stock quantities and sale prices. Replenishment equals consumption: To avoid discrepancies in consumption tracking that result in “shrinkage”, replace the traditional process of separating the consumption cycle from the replenishment cycle. Instead, combine them into a single process. In its simplest form, divide the maximum consigned quantity of an item into thirds. This one-third quantity becomes the replenishment package size. Each item is initially stocked with three sealed replenishment packages. Replenishment and invoicing for consumption occurs when the first package has been consumed and the second package has been opened and partially consumed. While this method extends the time between consumption and invoicing, its simplicity and elimination of “shrinkage” more than compensates for this. Figure 3 illustrates typical states of such a “replenishment equals consumption” management method. Disposition of pre-existing inventory: Try to avoid buying back any customer-owned inventory. (“Mr. Customer, without knowing your consumption history, I cannot take on the risk of owning this inventory and still offer to you the attractive prices that I am committing to with this agreement.”) If you must buy back inventory, include a clause in the agreement that requires the customer to buy back this inventory at the “end of the party” (that is, when the consignment program ends). Establish a method to easily distinguish inventory that you bought back from fresh inventory that you may eventually provide to maintain agreed-to stock levels. Establish a method to invoice for the consumption of this re-purchased inventory. This method will be different from the “replenishment equals consumption” process described above, because you will be invoicing for items that you did not replenish. You agree to take back all items still in sealed replenishment packages, as originally supplied by you. The customer agrees to pay for the equivalent of the maximum consigned quantity (three replenishment packages’ worth) less the quantities of the replenishment packages that you took back. The customer agrees to purchase all inventory not in a sealed replenishment package in excess of the quantities addressed in items 1 and 2 above. This process will hold the customer liable for “reverse” consumption items and any inventory that you bought back from the customer at the beginning of the program. Negotiate this condition up front, not at the “end of the party”. What is Your Consigned Inventory Program Challenge? Surely, this article does not address every scenario associated with negotiating and managing a hassle-free consigned inventory program. Got a special challenge? Tell me about it.